The PLAYERUNKNOWN'S BATTLEGROUNDS ​Anniversary item was revealed in the game's latest Public Test Server patch. ​​A new item was revealed in the ​PUBG PTS update. Fans can obtain the PUBG Anniversary item for free from the store, but can check it out early in the game's PTS. The Anniversary item is a cap that can be equipped to their character. 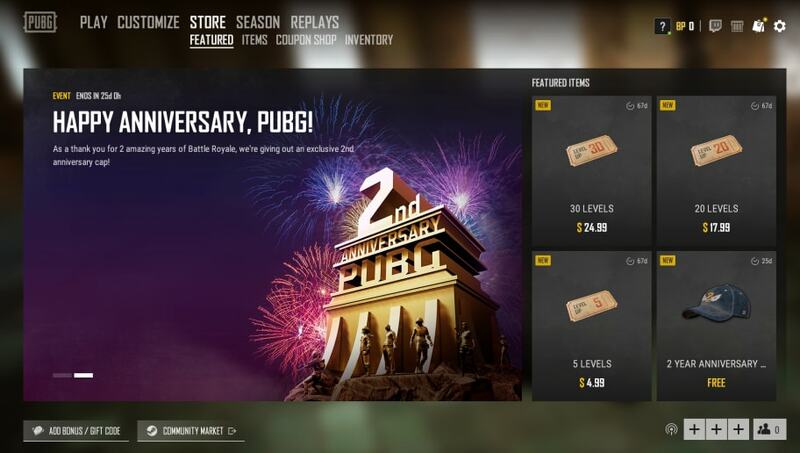 The Anniversary cap will be available on live servers starting March 26, according to PUBG Corp. It can be found on the featured items page of the store. It will remain in the store for players to redeem until April 23, right before the live server maintenance scheduled for that day. The new update also introduced the ​MP5K weapon for Vikendi.